Project plans can be stressful, no matter how big or small the project is. For project managers, making sure you have a bulletproof plan is crucial to the success of the project. The primary use of a project plan is to start communication amongst everyone involved in the project, such as a client and your team. In this blog post, you will find tips that will show you how to develop a project plan successfully. The first step in a successful project plan is figuring out what the end goals are for the project. As a project manager, it’s your responsibility to prioritize what your goals are. For example, you should outline your objectives in order to figure out where to begin with your project. A common mistake project manager’s make is thinking everything is a priority. Take time to figure out the most important goals for your business and go from there. In doing so, you will be able to implement strategic plans and guarantee a smooth rollout. Prioritize your goals to develop a successful project plan. Next, having the knowledge of what your risks might be with this project is crucial. As a project manager, you may be working with other clients that have responsibilities that aren’t in your control. It’s important to communicate different issues, such as delays in the process of your project with your entire team so no one is caught off-guard. If these issues aren’t addressed in the very beginning, this can cause frustrations between the team and your client. Thus, use the skills you developed at leadership workshops to determine risks with your team and take steps to eliminate them. Identify all risks in order to develop your project plan. Now it comes time to figure out which resources you have readily available to you. As a project manager, it’s important to delegate different tasks to your team members. You also have to make sure their availability lines up with the tasks you’re assigning to them. The majority of the time, your team is being pulled in many different directions throughout the day that they cannot dedicate an entire workday to a single task. While you might think a certain task will only take a day for one person, it can take up to a week with all of the other workload they have to take care of. Identify the different resources that your team has available, such as time. Then, you can optimize employee scheduling and develop project plans successfully. Now that you have an idea of what your team resources are, it’s time to give each person a specific role for the project. As a project manager, designating roles to your team can give everyone an idea of what their responsibilities are. When you create these roles as you develop your plan, it creates a much simpler transition once the project takes off. When each person knows what their role will be, they know what they’re expected of once the project is in motion. An example would be having someone responsible for the communication between the client and the team. Once you assign responsibilities to your team, it will help bring your project plan together. Finally, it’s time to bring money into the plan. As a project manager, it’s your job to make sure that everyone is aware of the budget before getting started on any tasks. This can provide a better idea of what each member of your team is allowed to spend on the certain tasks they’re assigned to. Also, having these numbers available for your client can help set certain expectations. If they’re not willing to spend the amount they need to in order to finish the project successfully, you’re able to breakdown each task and explain the costs that are attached to them. Establishing your costs will help your project plan start. As a project manager, it’s crucial to make sure your project plan is as detailed as possible. When you prioritize your goals, it gives you an idea of what’s most important and time-consuming compared to what isn’t. Addressing the risks that are involved with the project plan with both the team and your client is important to discuss. Make sure you know what availability your team has for the project before designating members certain roles and responsibilities. Finally, breaking down the costs of each task can help your client and your team know what they’re working with and what to expect from each number you provide. 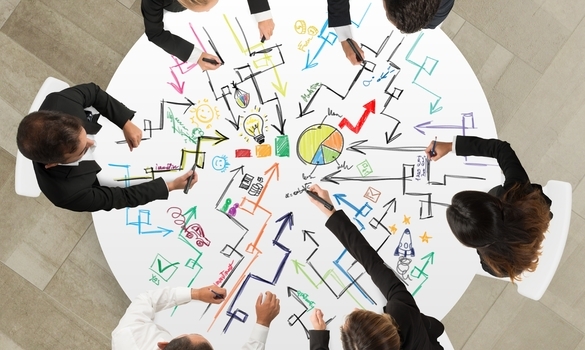 As a project manager, these tips will help you develop a successful project plan.